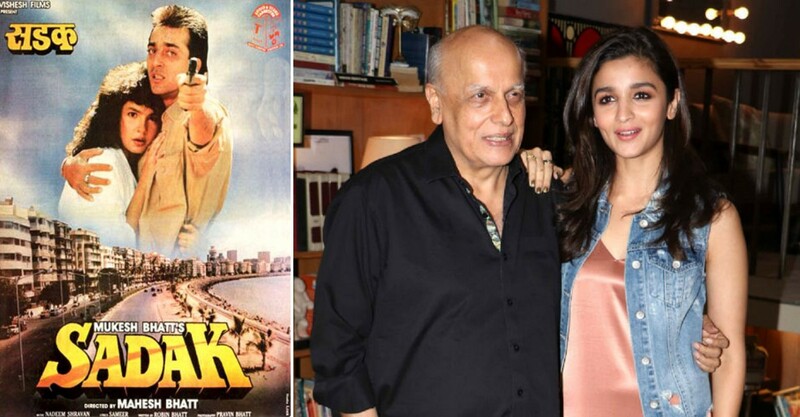 Extremely talented Filmmaker Mahesh Bhatt's movie of 1991, "Sadak" was a blockbuster movie. The film starred Mahesh Bhatt's elder daughter Pooja Bhatt opposite Sanjay Dutt. According to the reports, Mahesh Bhatt is planning to make the sequel of the movie. Also, he is planning to take Alia Bhatt to play the role of Pooja Bhatt and Sanjay Dutt's daughter. If reports are to be believed, the sequel story may focus on Alia’s character and Sanjay on a rescue mission for his daughter. 'Sadak’ was the 2nd highest grosser of 1991 and is remembered for Sadashiv Amrapurkar’s portrayal of a brothel owner. As far as shooting is concerned, Sanjay Dutt is busy shooting his upcoming flick, Bhoomi and Alia Bhatt is on a break after giving super hit film, 'Badrinath Ki Dulhaniya'. Alia at the tender age of 24 is rising high on her career and maybe soon she land up doing such important role of her life. Let's hope to hear the announcement about the same soon.